Huddled between two colleagues, knee deep in the Mediterranean, we position ourselves as the "guardians" (cowboys) directed the herd forward. The exhilaration I felt as these majestic horses raced toward me nearly took my breath away! 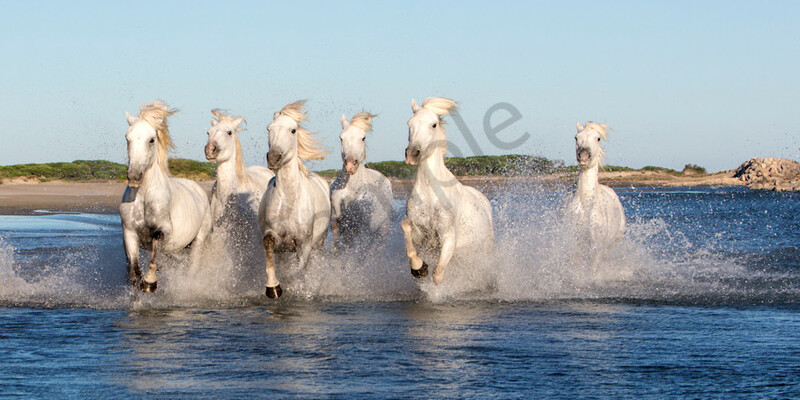 This image is named after my client Francine, who grew up riding the wild Camargue horses. This stunning metal print stretches 4' by 8' feet on her living room wall.